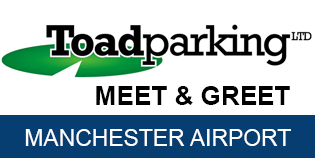 Please note: The car parks have been experiencing some delays in the collection/drop off of customers vehicles, this is due to the large amount of construction work taking place at Manchester Airport and it’s infrastructure i.e roads – These delays are beyond their control and may be greater during rush hour periods. Please allow more time before your check-in time. Manchester Airport now charges a £4 access fee upon entry and again on exit. Please note that you will have to pay £4 cash to the chauffeur on arrival so that they can enter and exit the terminal area. You must call the car park 20 mins before your allocated time and ensure you arrive on time. You will be required to cover any costs incurred if you arrive early. Please do not go to any onsite airport meet and greet carparks. N.B. Depending on how busy the terminal forecourts are, you may be directed to the relevant multi storey car park, but you will be informed of this when making the call 20 minutes before. The collection points for all terminals are within the multi-storey car parks. For terminals 1 and 3 please go to Level 3 at both terminals and wait near the lift doors for your car. For terminal 2 please go to level D.
Please only call the chauffeur when you have arrived at the correct collection point as the cost to exit could increase if the driver is on airport grounds longer than necessary. When you are back at the pickup point and have called for your car, the driver will give you a token that you will need to put in the machine and then pay £4 to be able to exit. Your vehicle will be stored on the 8th - 13th Floors of the Civic Centre Multi-Storey Car Park. The car park is managed by St Modwen Properties Plc, but is still covered and comprised within the pre-existing 24/7 CCTV & Continuous On-Site Guarded/Nightwatchmen, Gate-house & Patrolled Security Operation. Whilst enjoying its own, independent, internal Barrier-Controlled Access & Egress System run and managed by Office Manager/Staff. In addition the Wythenshawe Main Police Station is situated across the Road from the Car Park for added comfort and Security. Please note that there is a 10 minute grace period when dropping off or picking up your car, after which you will not be able to enter the area again for half an hour. To avoid extra charges, please ensure you adhere to the times you have booked and only call for collection when you are ready. Your drop off location will be confirmed when you call 20 minutes to prior to drop-off. SkyParkSecure rated 94% on independant review site Reevoo. Take the hassle out of airport travel. Book a Manchester Airport lounge from as little as £21.99 per person. Start your journey fresh, invigorated and well fed. Manchester Airport hotels at very affordable prices.